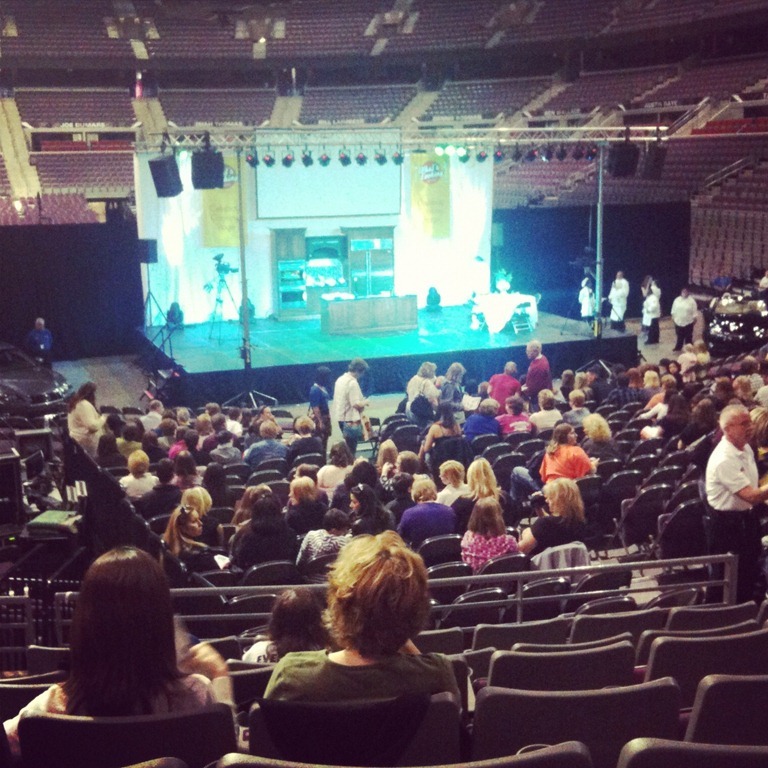 Yesterday the huz and I traveled to Auburn Hills to attend the What’s Cooking Detroit Food & Cooking Expo at the Palace. 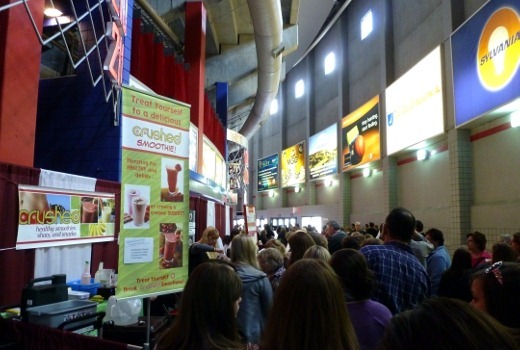 The perimeter of the arena was filled with hundreds of exhibitors and vendors’ booths related to all things food. 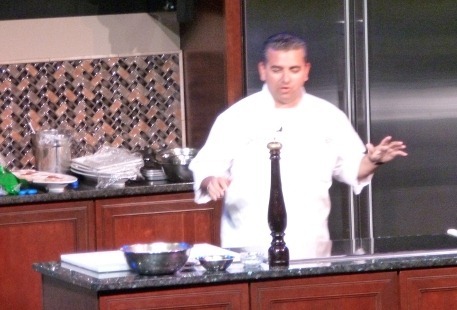 Cookbooks, smoothies, cooking classes, tupperware, culinary school, ice carving, barbeque sauce, Bloody Mary mix – you name it. 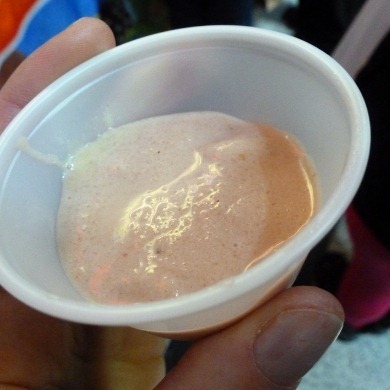 Many of the booths had free samples. 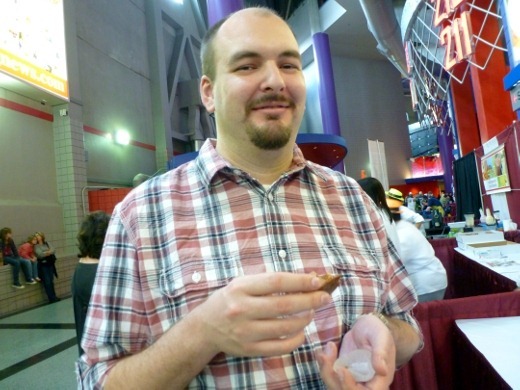 We sampled quite a few items, including the aforementioned Bloody Mary Mix (sans vodka), and bites of brownie, scone, barbecue chicken, toffee, and more. 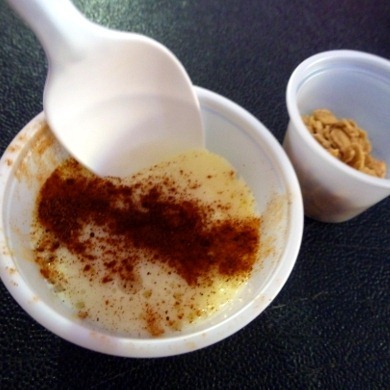 Below are a both a Michigan-made Greek Rice Pudding and granola, and a peanut butter smoothie sample. 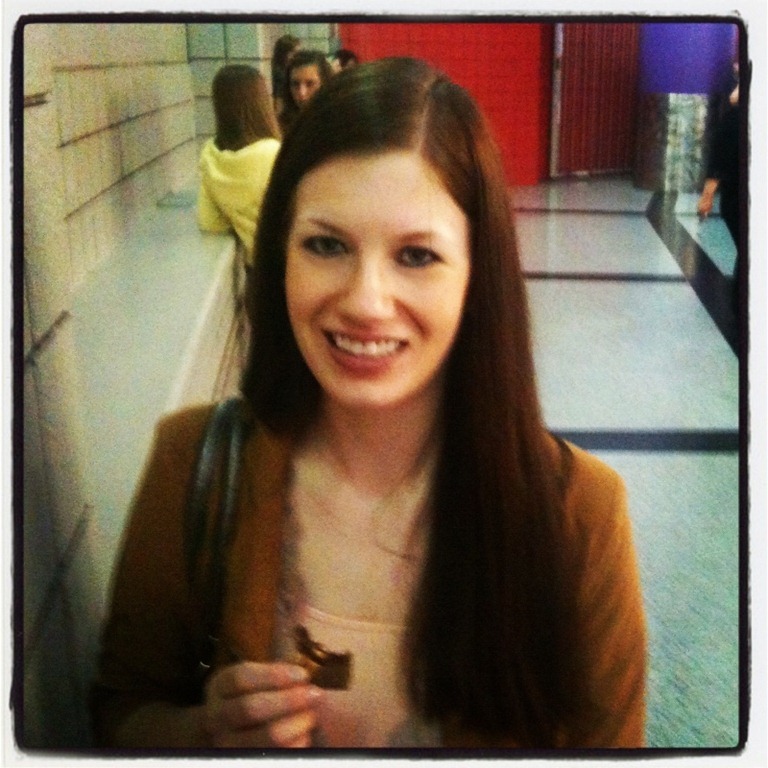 After about 90 minutes of perusing the booths, we headed into the arena, where we had tickets to see Buddy Valastro, a celebrity chef from TLC’s Cake Boss, perform a live cooking demo, in which he prepared Veal Milanese and roasted russet and sweet potatoes, and decorated cupcakes with help from the audience. After the demo, the Palace was extremely crowded so we only spent another 30 minutes or so perusing, before we had enough of the crowds. The lines just to get up to a table were dozens of people long in some cases! I really would have preferred to spend more on a ticket to allow fewer people in attendance. It was just became too crowded for us to take by mid-afternoon! All in all the event was a fun and different way to spend the afternoon together, but a bit too crowded for our taste. We also came home with a bag of flyers that we collected, coupons, and food samples. Pingback: The Wurst Bar Review « Meg.Goes.Nom.Nom.